According to WikiTravel, “Bermuda was first settled in 1609 by shipwrecked English colonists headed for the infant English colony of Virginia. Bermuda is a self-governing British overseas territory in the Atlantic Ocean north of the Caribbean, off the coast of North America east of North Carolina. It is one of the last remains of the once vast British colonial empire in North America.” Bermuda is made up of 138 islands/islets, which contain one city (Hamilton), one town (St. George), and two villages (Flatts, Somerset). 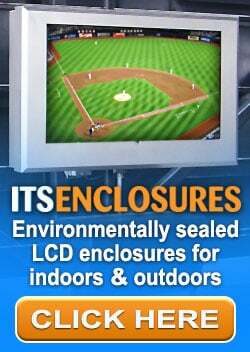 Knowing they were going to need an enclosure expert that specializes in outdoor digital signage, Bermuda consulted with an audio/video integrator in the United States to help make their vision a reality. After reviewing the large product line of outdoor enclosures, the integrator reached out to ITSENCLOSURES, on behalf of Bermuda, to provide a skilled consultation in protecting electronics inside of an enclosure that would shield against the various challenges mapped out by the country. The Government of Bermuda sought a way to provide more self-service information to tourists and travelers visiting the island, especially those using public transportation. They wanted to offer an electronic solution to assist in visitor information, directions, and to help promote local businesses - who would, in turn, use the digital signage to advertise and market themselves. 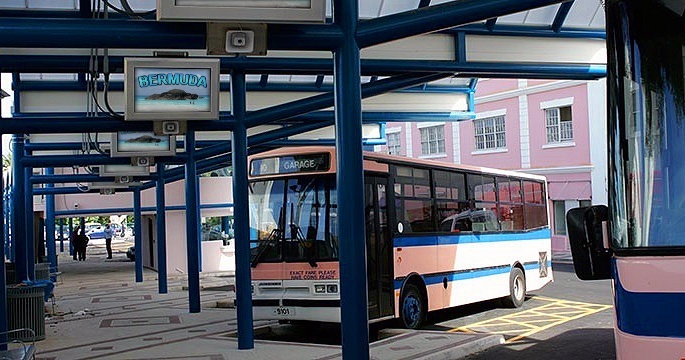 When Bermuda made the decision to install large-format displays in the bus terminal area, they knew that they needed to be protected in an outdoor enclosure. Various obstacles existed, including the summer weather with extreme hot temperatures, corrosive & salty air (due to the proximity of the Atlantic Ocean), and high humidity. 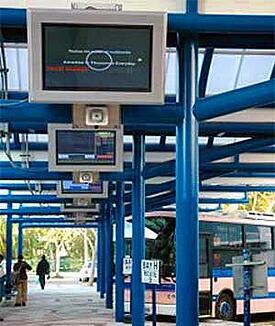 In addition, the proposed enclosure solution would need to securely and safely mount to the existing bus shelter. Bermuda recognized that they had some significant obstacles to tackle and the most obvious was the cost of a prospective solution under capital budget restraints. After discussing the complications set forth by Bermuda, ITSENCLOSURES stepped in and assessed the environment, including the heat, corrosive air, and humidity. 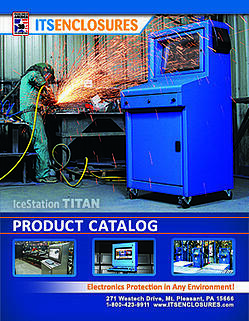 After review of stock products, ITSENCLOSURES made a recommendation to deploy ViewStation LCD enclosures. The enclosure is constructed out of marine-grade aluminum with a clear coat/powder coat finish to protect against the salt air. Separate external mounting brackets, constructed out of stainless steel, support the weight of the enclosure and electronics installed inside of the cabinet. All exterior hardware featured non-corrosive elements that are suitable for exposure to a marine environment. The LCD enclosure features fan cooling and provides a NEMA 3R/IP53 protection rating for a semi-outdoor environment. Overall, the enclosure design was dictated by the requirement to use a specific make and model of a 42" high-bright display. ITSENCLOSURES assisted Bermuda with installing the enclosures with specified mounting devices to the bus terminal structure. Within months of the original contact, the ‘Hamilton Bus Terminal’ installed 14 new LCD enclosures assisting visitors and promoting local vendors. The Government of Bermuda commented, "We can't thank ITSENCLOSURES enough, for working with us and making our vision a reality. Now, the Hamilton Bus Terminal is reflective of the strides Bermuda has been taking to become a world class vacation destination."